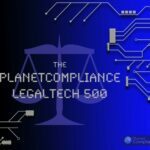 The definitive guide to LegalTech – the PlanetCompliance LegalTech Directory! Welcome to the PlanetCompliance LegalTech Directory! The legal industry is getting transformed in a way never seen before. Clever start-ups and established players look at every aspect of the legal profession and develop solutions to digitalise and automate processes and services. 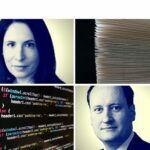 Technology has for a long time played an important role in the life of lawyers and legal professionals, but thanks to innovative technologies like data analytics, machine learning or Blockchain we are seeing change of an unprecedented scale. It’s also a sector with a massive market opportunity for disruptors and investors alike since the legal services industry has created in the US alone more than $250 billion in revenue. We conducted extensive research to provide you with the Who is Who in LegalTech, and produced a directory that gives you a comprehensive overview of the sector and lets you easily find the providers that could change your life, too. We’ve categorised the companies into ten different classifications: Practice Management Software , Legal Research, Marketplaces and Networks, Legal Services, E-Discovery, Contract Management, Document Management, IP support, Financing, and General LegalTech solutions. 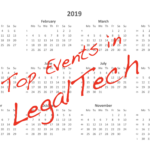 You can find the definitions and additional information for each category in our dedicated post that explores LegalTech in more detail. If you have any questions or think we missed a firm that should be listed on our Directory, drop us a line at info [at] planetcompliance.com. So, what you are waiting for? The PlanetCompliance LegalTech Directory is open for business! 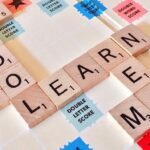 An introduction to LegalTech or are Smart Contracts the end of Lawyers? The PlanetCompliance RegTech Directory 2nd edition – Register NOW!